Majestic Hotel Guangzhou, situated in the prosperous business center of Guangzhou Tianhe district, is a four-star 36 stories business hotel. The Plaza is located in this hotel complex, providing guests cinema, Mings restaurant, karaoke and branded shops etc. 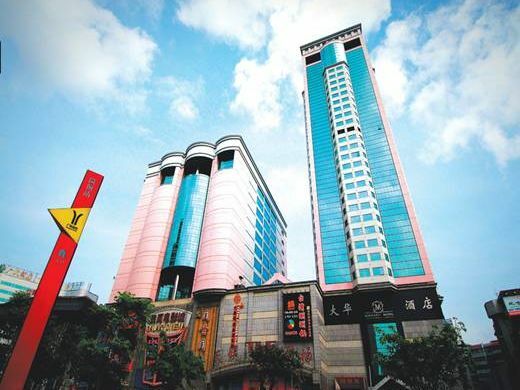 Majestic hotel Guangzhou offers businessmen every contemporary comfort and convenience. Majestic hotel Guangzhou is only a 10-minute drive to East Railway Station, 20-minute drive to Guangzhou International Exhibition Center (Pazhou), 40-minute drive to Guangzhou Baiyun International Airport, and it besides the subway (line 3 exit A-Gangding), offering guests a convenient transport. All 211 spacious guest rooms are designed and built in the unique style, equipped with broadband internet connection, Video on demand equipment, satellite TV, central air condition, smoke detector, IDD phone, mini-bar, refrigerator and safe deposit box etc, and give guests a warm memory. Personal and attentive service and attractive surroundings guarantee an enjoyable stay at Majestic hotel. Majestic Hotel holds a total of 211 spacious and well arranged guest-rooms including Superior room, Deluxe room, Deluxe suite, Deluxe apartment and Standard room.